Brian and I would like to thank all of our dearest family and friends for simply being here for us. You all have done so much and have made such a remarkable positive difference in our lives. We cherish the friendship and love you gave us, and continue to give to us. Thank you for visiting our wedding website and honeymoon registry. You all have blessed our lives and we can't wait to share our special day with you! With your wonderful wedding gift we will rent paddle boards and set out on an exciting excursion. We will paddle over the rolling waves of the Pacific Ocean and discover the abundant marine life swimming below. The scenic views of Maui’s shore, the soothing sea breezes and the refreshing spray of the waves will awaken our adventurous side leading us to create unforgettable honeymoon memories! At Grand Wailea on our tropical honeymoon, we will rent snorkel equipment for the day for an unforgettable adventure in paradise! Below the surface, we will come face to face with exotic reef fish and other mesmerizing marine life while exploring the abundance of the Pacific Ocean. Thanks to your lovely wedding gift we will experience an underwater world of natural beauty. We will have the opportunity to kayak through the sparkling waters of the Pacific Ocean on our honeymoon at Grand Wailea. While gliding through the rolling surf, we will admire stunning views of Mau’s pristine coast and witness the amazing marine life swimming below. Thanks to your generous wedding gift, we will experience the excitement and thrill of kayaking in paradise! 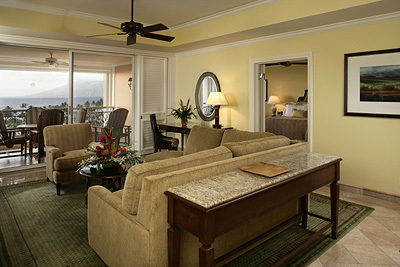 On our honeymoon at Grand Wailea we will take delight in the charming settings of the Deluxe Garden Room. Beautifully decorated with a palette of colors reminiscent of the Islands, our room boasts tropical designs, dark hardwood accents and fine furnishings. This soothing sanctuary promises us a king size bed with luscious linens, an elegant bathroom with amenities and a private lanai with stunning views of the lush landscape! 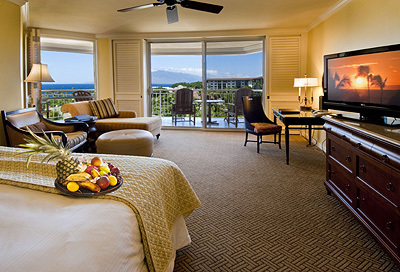 At Grand Wailea we will indulge in the stunning settings of the Deluxe Ocean Room on our honeymoon. This tropical retreat is designed with a fresh palette of creams and contrasting colors, rich hardwoods, exotic decor and fine furnishings. Our Deluxe Ocean Room boasts a king size bed with luscious linens, a relaxing bathroom with lavish amenities and a private lanai with unobstructed views of the sparkling blue and beyond! With your lovely wedding gift we will discover the enchanted surroundings of the Napua Suite on our honeymoon at Grand Wailea. Elegantly decorated with a soothing palette of creams and neutral colors, our suite features tropical hardwood accents, island designs and fine furnishings in the living area. Our spacious suite features a complimentary breakfast every morning, cocktails and hors d’oeuvres every evening, access to two private lounges, a king size bed with luscious linens, a luxurious bathroom with exclusive amenities and a private lanai with breathtaking views. 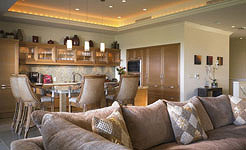 Together we will discover the luxuries of paradise in the Wailea Suite on our romantic honeymoon at Grand Wailea. This spacious suite is beautifully decorated with a palette of soft colors and creams, contrasting dark hardwoods, island designs and finely appointed furnishings in the living area. Our honeymoon haven promises us a king size bed with luscious linens, an elegant bathroom with lavish amenities and a private lanai with stunning views of lush tropical gardens and the sparkling Pacific Ocean! 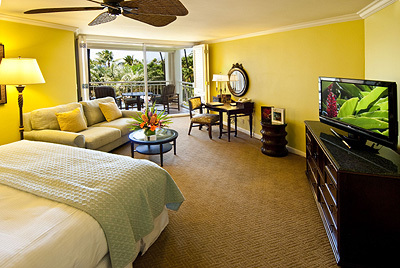 Our honeymoon in paradise promises us a delightful stay in the Napua Royal Suite. Attractively designed with a palette of fresh creams and contrasting colors, this suite features dark hardwoods, tropical decor and richly appointed furnishings in the living area. This royal retreat promises us a complimentary breakfast every morning served in the Napua tower, cocktails and hors d’oeuvres every evening, access to two private lounges, a king size bed with luscious linens and a luxurious bathroom with exclusive amenities. Outside on our private lanai we will sit back, relax and take in the beautiful views of the Pacific Ocean, the pristine sand beach and the resort’s lush gardens. Thanks to your wonderful wedding gift, we will experience delightful dining at Humuhumunukunukuapua’a Restaurant on our honeymoon. This Polynesian thatch roof restaurant serves sumptuous lobster straight from the lagoon, delicious Island fish dishes and succulent meat entrees prepared with a Polynesian twist and fresh ingredients. Surrounded by a million-gallon saltwater lagoon overlooking the Pacific Ocean, we will enjoy romantic and exotic settings where we can tantalize our palate while watching a spectacular Hawaiian sunset. We will dine in a relaxed setting at Bistro Molokini at Grand Wailea on our romantic honeymoon on Maui. Serving lunch and dinner, we will choose from an enticing blend of California and Island cuisines enhanced with fresh herbs and spices, and other ingredients. With its charming open-air atmosphere, Bistro Molokini promises us stunning views of the Pacific Ocean and the Islands while discovering the savory flavors of paradise! The Grand Dining Room at Grand Wailea is known as Maui’s best breakfast ocean view location. Overlooking the sparkling waters of the Pacific Ocean, we will enjoy a sumptuous breakfast from the breakfast buffet or choose from a delicious a la carte menu. On Sundays, the Grand Dining Room presents a special champagne brunch enhanced with classic dishes and live Hawaiian music and hula dancers. In the charming settings of the Grand Dining Room, we will enjoy an exceptional dining experience while witnessing a beautiful sunrise in paradise! Grand Wailea presents Cafe Kula, a restaurant serving casual fare for breakfast, lunch and dinner. Nestled amongst lush exotic gardens, we will choose from freshly baked pastries, gourmet quiches, delicious pizza, sandwiches, salads, Lappert’s Ice Cream, coffees, desserts and more. Thanks to your lovely wedding gift we will enjoy a truly unique tropical dining experience on our honeymoon in paradise! Together we will discover an exquisite dining experience while overlooking the alluring Pacific Ocean on our Hawaiian honeymoon at Grand Wailea. We will choose from an exclusive menu in the intimacy of our cabana situated amongst lush gardens by the pool. In an enchanted setting we will entice our palate with sumptuous specialties, admire a stunning Maui sunset and end our perfect evening with a toast to our new lives together while gazing at a star-studded sky. On our romantic honeymoon at Grand Wailea we will want to do a little shopping so we can bring a piece of paradise home with us. Together we will browse around the gift shops and boutiques in search of a few honeymoon keepsakes. From beautiful pieces of artwork, stylish accessories and apparel, to locally made products and exclusively designed jewelry, we will find just what we wanted and cherish these treasures in the many years to come! Surrounded by the majestic slopes of Haleakala and an alluring beach with the sparkling waters of the Pacific Ocean, Grand Wailea presents us with an array of tropical luxuries in an enchanted atmosphere. We will be pampered with exceptional amenities, indulge in romantic and exotic cuisine, take part in exciting activities and water sports, and discover a world of pure tranquil bliss in the spa. At Grand Wailea we will create endless memories of our honeymoon spent at our Hawaiian hideaway on Maui! 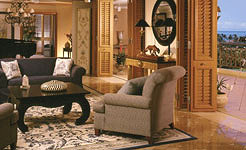 Grand Wailea promises us a soothing island oasis created with relaxation and playful adventure in mind. We will take comfort in luxurious accommodations, indulge in exceptional dining options, enjoy an evening of entertainment with our favorite tropical concoctions, relax by the pool or spend the day on the beach. Your generous wedding gift will help our dream honeymoon become the ultimate getaway! Overlooking the alluring blue pool, the sparkling Pacific Ocean and the pristine beach, Grand Wailea offers us an array of bars for the ultimate indulgence. Boasting laid-back island atmosphere and extensive beverage menus, we will delight in light fare and enticing appetizers enhanced by tropical concoctions, classic cocktails and imported and domestic beers. 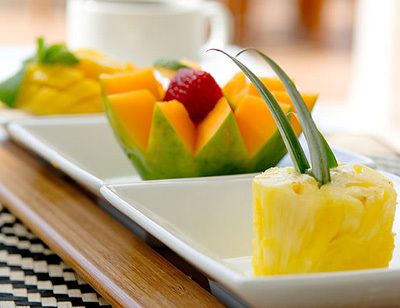 We will indulge in the sweet flavors of paradise on our honeymoon! This prestigious treatment certainly receives my royal seal of approval; I will feel like royalty with this treatment made for kings and queens by indulging in the finest therapeutic massage in the world. This one of a kind massage is infused with Olivine Crystals known locally as ‘Hawaiian Diamonds’. This special botanical blend allows the healing properties of the crystals to penetrate my skin and nourish my soul. Grand Wailea promises me a sensuous spa massage on my honeymoon in paradise. Using heated lava stones blended with the fluid movements of Lomi Lomi, this massage will simply soothe stress and melt away tension. The warmth from the lava stones will penetrate deep into my muscles leaving my mind, body and spirit relaxed and rejuvenated! 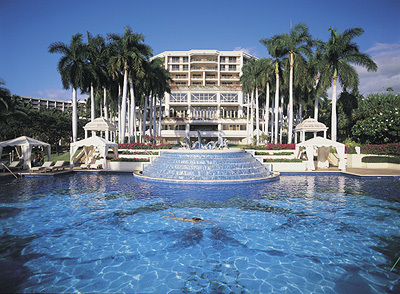 On my honeymoon at Grand Wailea on Maui, I will luxuriate in the harmonious settings of Spa Grande. I will be pampered with native Hawaiian rhythmic massage strokes and the fluid movements of Lomi Lomi. As I indulge in the sweet aromas of Hawaiian essential oils, I will journey to a world of pure tropical bliss! Together we will discover the special indulgence of the Duo Massage on our honeymoon at Grand Wailea. While lying side by side in the intimacy of our very own spa suite, we will receive long soothing massage strokes blended with an application of aromatic essential oils to calm our minds and relax our bodies. Our romantic spa experience promises us pure honeymoon bliss as we discover the simple luxuries of this Hawaiian paradise! At Grand Wailea on my honeymoon I will receive the Spa Grande Deep Cleansing Organic Facial. This deep cleansing European facial uses organic fruits, herbs, flowers and exotic spices to enhance my skin’s natural glow. Thanks to your wonderful wedding gift, my complexion will be refreshed and rejuvenated while moisturizing my skin. My romantic honeymoon on this island paradise promises me a luscious, tropical body treatment. A combination of sea salt, ginger root, lemongrass, honey and exotic macadamia nut and coconut oils will be applied to my body. The Awapuhi Salt Body Glow will moisturize, soften and smooth my skin while giving me an illuminating glow as radiant as the Hawaiian Islands! With your generous gift, I will receive a facial specially customized for men’s skin. The Spa Grande Men Facial includes a deep cleansing, toning, extractions and moisturizing benefits. This facial will nourish and soothe razor burn while healing the irritations caused by harsh environmental and sun exposure. Thanks to your lovely wedding gift I will indulge in the Soothing Aloe, Noni and Mud Cocoon! In the peaceful settings of Grande Spa I will be enveloped in refreshing moor mud that will draw out heat while detoxifying my skin. My luxurious spa treatment will end with an application of cooling and calming Aloe Vera to moisturize and relieve sun drenched skin. We will indulge in a romantic spa experience on our honeymoon at Grand Wailea. In the tranquility of Grande Spa, we will take delight in the healing benefits of the Terme Hydrotherapy Circuit featuring an array of water therapies. While lying side by side, we will receive a tropical Maui scented bath and a relaxing massage together. This romantic spa package is the perfect wedding gift! 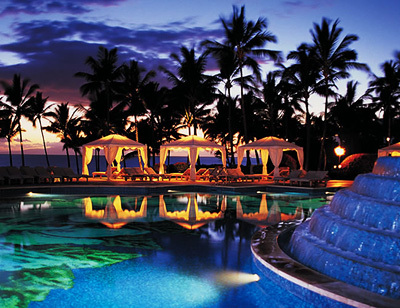 Grand Wailea is just as enchanting as the Hawaiian Islands are awe-inspiring. With your generous wedding gift we will experience a timeless, elegant wedding ceremony on this tropical island paradise! We will exchange our vows of everlasting love as the true Aloha spirit welcomes the special moments of our beloved wedding day. 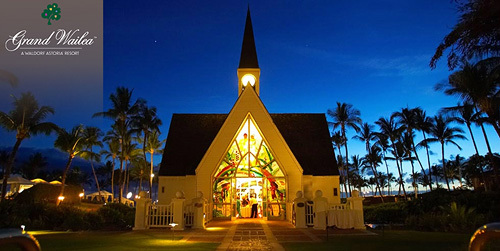 Our ceremony location at the Wailea Seaside Chapel or in the lush Chapel Gardens will be beautifully decorated with tropical flowers, lavish fabrics and luxurious designs. Whether our blissful day is an intimate wedding for two or an extravagant ceremony shared with our friends and family, Grand Wailea will ensure that our day is pure perfection!